Strange Science: The Rocky Road to Modern Paleontology and Biology archives science’s efforts at understanding the world – a long and difficult process full of errors and oddities. Theories and history we now know as facts weren’t always so obvious. A comprehensive and well-researched essay on evolution explains the history of the theory along with a timeline and scientists’ biographies to highlight important dates and figures in science’s history. However, it’s the Goof Gallery that provides the most interesting images and ideas! The Goof Gallery showcases our trials and errors we we learned about the world around us. Learn about dinosaurs and dragons (hard to tell apart at one point in history), mammals (like unicorns), sea creatures (mermaids and monster octopus make an appearance), forgeries and frauds (P.T. Barnum’s Feejee Mermaid is included), and more. Primary sources for these creatures’ first appearance in print are included throughout and an extensive References’ list will lead you to even more interesting images and stories. 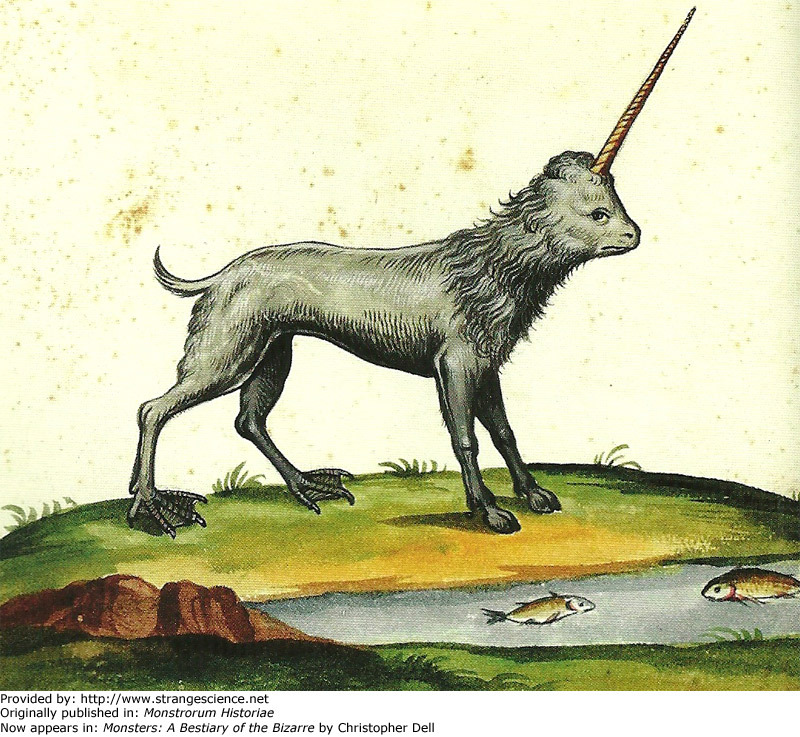 If you like mythical creatures and scientific oddities, check out some great books in the UArts Libraries’ catalog. Search for subjects such as monsters or sea monsters, dragons, and Animals — Mythical.